ADC Stands With Congresswoman Ilhan Omar! The American-Arab Anti-Discrimination Committee (ADC) unequivocally condemns all attacks and mischaracterizations against Representative Ilhan Omar for her outspoken position in support of Palestinian human rights. It is absurd that Representative Omar is being targeted for exercising her legal right to question the influence of AIPAC, one of the most influential special interest groups in the U.S. for the last twenty years. The American people expect elected representatives to be transparent on special interest funding, and most polls show support for campaign finance reform. 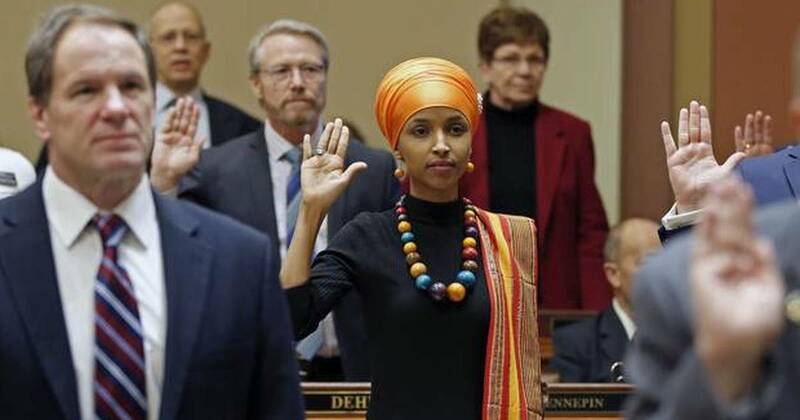 Representative Omar has the responsibility as a member of Congress to use her platform to question the influence that special interest groups have on U.S. policies; it is precisely why she was elected by her constituency. Let us be clear, these attacks are not new and have absolutely nothing to do with anti-Semitism. The fictitious statements including those coming from one of the most xenophobic and racist Presidents in history, confirms that these attacks are rooted in a continued pattern and practice of vicious, bigoted, anti-Muslim, anti-immigrant and anti-Black rhetoric that started before Representative Omar was elected. To falsely conflate anti-Semitism, is dangerous to the victims of true anti-Semitism, as we tragically saw in Charlottesville and at the Tree of Life Synagogue in Ohio. ADC is equally disturbed by the growing trend in the U.S. to undermine civil liberties when it comes to engaging in Palestinian human rights work. This is best exemplified in the recent congressional efforts to punish those who peacefully exercise their First Amendment right to boycott. The Boycott, Divestment, and Sanctions movement (BDS) is not anti-Semitic, in fact it is against anti-Semitism and all forms of racism. Indeed, the U.S. Palestinian human rights movement condemns the very hate that it is being falsely linked to. As, Palestinians continue to endure violations committed by Israel with impunity, Representative Omar’s questioning of the U.S. role should be applauded. Just last week, Israel shot and killed two Palestinian children in the Gaza Strip, including a 14-year-old Palestinian boy. In 2018 alone, Israel killed 57 Palestinian children. It is the duty of all members Congress to question AIPAC’s substantial influence on U.S. policies and its role to shield Israel from accountability. We commend Representative Omar and other members of Congress that stand up for the values that this country claims to uphold, justice and dignity for all. Thank you for taking a principled position in defense of human rights and justice for all. ADC is proud to stand with you. This entry was posted in MRSCP and tagged Free Speech, Human Rights, Israel Lobby by admin. Bookmark the permalink.